The world’s most advanced "remote region"
The world’s first "renewable hydrogen community"
Residents, government, and companies work together to promote the "renewable hydrogen zone"
Mayor of Lolland: Mr. Leo Christensen - "Getting the central government in action with bottom-up activities"
Mr. Jan Johansson of the Baltic Sea Solutions – "Making energy more open source"
The island of Lolland located in southern Denmark has come under the spotlight for being the world-first "renewable hydrogen community," a community that uses renewable energy generated by wind abundant in the region and hydrogen produced using wind power. The island aspires to become a role model for society, one that does not pollute air or water, by using renewable energy sources and hydrogen rather than depending on nuclear energy or fossil fuels. To learn more about the innovative ideas coming from this small island, we visited a town, which resembled an eco trade fair with the rows of windmills. Back to Table of Contents The world's most advanced "remote region"
There are approximately 500 windmills on the island of Lolland that supply almost all the electricity the island needs using a renewable energy source. Located 175km south of Copenhagen, Denmark, the island of Lolland with a population of approximately 70,000 people is seemingly ordinary. The tranquil landscape is dotted with numerous windmills. The island is low lying and flat (the highest hill is only 25m above sea level), so a strong wind blows across the island constantly. Lolland takes advantage of such unique features to supply nearly all the electricity it needs with wind power generated by approximately 500 wind mills both onshore and offshore. Although it is a "remote region," Lolland is a leader in the field of natural energy (often also referred to as "renewable energy" because it is an inexhaustible energy source unlike fossil fuel, which are exhaustible). At a "forest kindergarten," children are encouraged to play in the mud and learn from nature. Lolland is not only known for its windmills, it is also recognized for its "forest kindergartens." 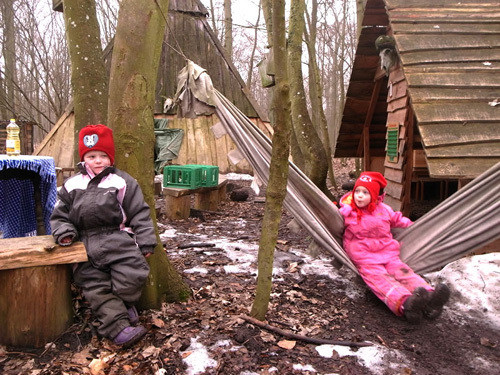 "Forest kindergartens" - a form of preschool education that makes use of the natural environment, which originated in Denmark in the 1950s - have drawn much attention. Regardless of the season, children spend all day outdoors covered in mud. They are encouraged to spend their time freely - doing arts and crafts, cooking or playing music - using objects found in the forest as toys. Perhaps, education, which starts from a very young age, that nurtures the "power to live amidst nature," lives on in Lolland's energy policy decision making, thus resulting in the decision to generate much of the energy required using wind, an abundant natural resource. 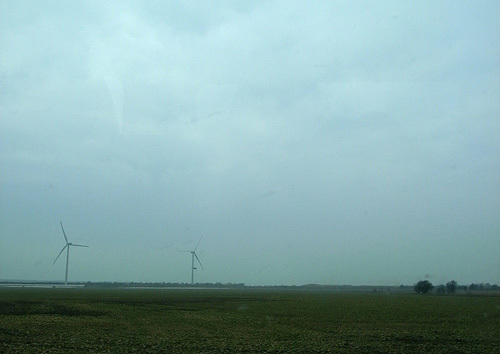 An onshore wind power generation farm where dozens of windmills stand side by side. Although Lolland may seem like a wealthy island today, its unemployment rate was over 20% in the 1980s. Things began to change when Lolland city began to focus its attention on the renewable energy industry. The city renovated the port, where the shipbuilding industry had once flourished, and by making use of its unique resources such as the natural environment and the healthy shipping industry, it succeeded in inviting Vestas Wind Systems A/S, a world-leading wind turbine manufacturer that currently boasts a larger total market value than Toshiba Corporation, to its shores. In the 1990s, EU accelerated the shift towards renewable energy as a way to eliminate use of fossil fuels and the island succeeded in reducing its unemployment rate to 4%. Onsevig Climate Park, the world's first offshore wind farm. Lolland became known as a successful case of a town developed using renewable energy sources, and hence it has begun to attract various delegations of inspectors from companies and governmental organizations across the world, and the eco-tourism business is also beginning to flourish. 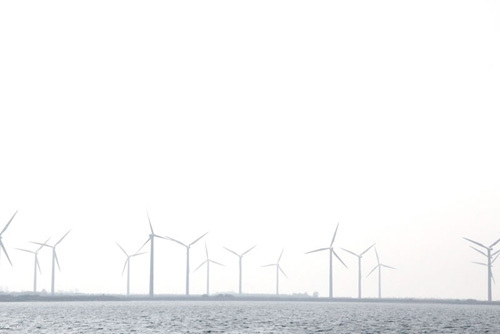 For example, the Onservig Climate Park situated in the northwestern area is the world's first offshore wind farm established nearly 20 years ago in 1991. Research is underway off shore in order to develop a kill-two-birds-with-one-stone power plant that will generate energy using waves and also serve as a site for aqua farming. Actually, in the 1970s, there was a proposal to build a nuclear power station at the same site. The residents put up resistance and won back the land. And now the same site has become a perfect place to visit and to realize that the shift to renewable energy is indeed possible. Poseidon, a prototype wind and wave power generation plant berthed at the port in Nakskov. Vestas Wind Systems is based west of Nakskov. Numerous windmill blades to be shipped overseas were found all over the port. There is also an experimental facility nearby and you can see gigantic offshore windmills that are 100m tall - a truly overwhelming sight. Although offshore wind power generation has become a worldwide trend - the US has gone into high gear and Japan has begun investigating a site off the coast of Choshi (Chiba prefecture) - 20 years ago there were various concerns such as the impact it may have on the animals inhabiting the surrounding area as well as the fishing industry. Therefore, the Danish government conducted over 100 investigations to prove that the plant is safe; today, you can see seals coming to rest on the plant. The person in charge at the Onsevig Climate Park emphasized that "this is a positive conservation measure." And the collective consciousness of doing something that has never been done before anywhere in the world and to share the know-how openly and globally in order to accelerate the shift towards renewable energy is present throughout the island. A bridge connecting the island with Germany will be completed in a few years, but looking ahead to the future, Lolland is planning to build a university and research centers that will specialize in renewable energy. As it was the case with Hawaii, an Earth report I wrote previously, islands may face various restrictions, but that is the very reason why they have become the birthplace of state-of-the-art innovations. Back to Table of Contents The world's first "renewable hydrogen community"
Lolland has successfully become energy self-sufficient. What it is focusing on next is "renewable hydrogen," which is the main topic of this report. Renewable hydrogen refers to hydrogen produced as a result of the electrolysis of water using renewable energy. It produces hardly any harmful gases while it is being created and when being used, so it does not pollute air or water. Renewable hydrogen has come under the spotlight in order to make use of not only geothermal heat or small hydroelectric generation, which are relatively stable, but also other more unstable renewable energy sources such as solar and wind power that are dependent on the climate. The technology used in creating a renewable hydrogen society can be broadly divided into 4 categories - "renewable energy generation," "water electrolysis using surplus renewable energy," "storage and distribution of hydrogen," and "ways to use hydrogen" (please visit http://rh2.org/en for more details. A video on renewable hydrogen is also available). 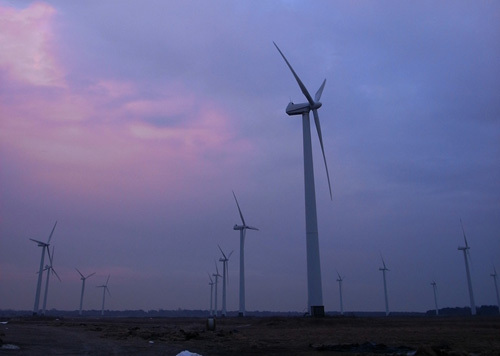 In the case of Lolland, the first one, "renewable energy generation," is based on wind power. There are a variety of options depending on the region, for example, Hawaii and Iceland use geothermal energy, small hydroelectric generation is used in the valleys in Canada, and solar energy is the power source of choice in Australia. Then, there is "water electrolysis using surplus renewable energy." Necessary electricity is supplied by using renewable energy while a large volume of surplus electricity, which had gone to waste in Lolland in the past, is then used to create hydrogen. Ways to "store and distribute hydrogen" differ depending on the infrastructure of each community. And lastly, "ways to use hydrogen." When there is a shortage of electricity, renewable hydrogen can be used as an alternative to fossil fuels such as oil and gasoline in most cases to generate power using fuel cells (which takes advantage of the chemical reaction between hydrogen and oxygen), to fuel a hydrogen vehicle, or as fertilizer by converting it into ammonia. 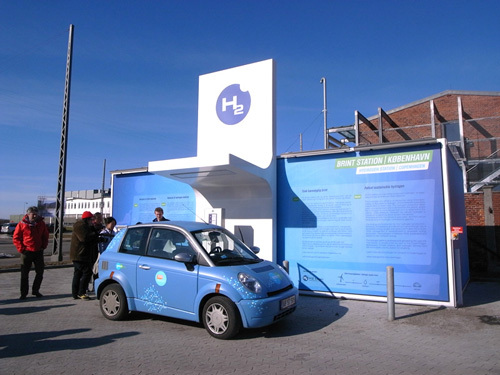 A hydrogen station in Copenhagen. Vehicles fueled by hydrogen only emit water. However, all this talk about energy often sounds quite abstract and people often say that "hydrogen is something of the future." So, I went to check out the renewable hydrogen community on the island of Lolland to see for myself. 目Back to Table of Contents Residents, government, and companies work together to promote the "renewable hydrogen zone"
A renewable hydrogen house built out of bricks characteristic to Northern Europe. 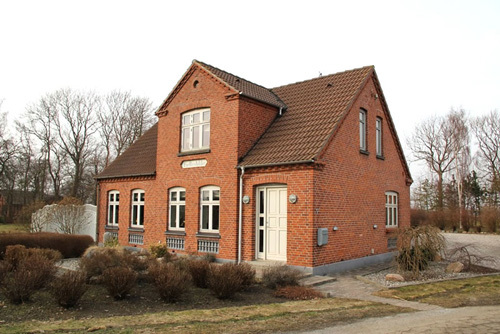 The world's first "renewable hydrogen community" can be found in the village of Vestenskov, located in western Lolland. The total are is about 1km2 including approximately 40 residential homes. A hydrogen generator and a hydrogen storage tank are installed in one corner of the neighborhood, delivering hydrogen to each household via a pipeline and generating heat and power using fuel cells. Currently, there are 5 pilot fuel cells that began operation in 2007, but the plan calls for installing fuel cells in most of the homes in the village by 2012. So, in a way this is a "renewable hydrogen zone." Lolland city's official program, the Community Testing Facilities, helps shorten the lead-time for implementation significantly with government involvement from the early stages of the project to select sites and to put in place relevant legislation. For the city, this offers benefits such as better infrastructure and better competition between local governments. Companies can accelerate commercialization of their ideas with a certain level of demand in mind. And research institutions can obtain data from specific case studies, so these projects provide benefits to each stakeholder. The scope of business is continuing to expand with big companies from Japan, like Panasonic, joining the program and starting cooperative experiments. 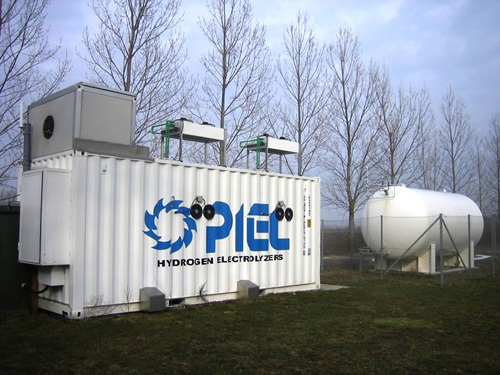 A "hydrogen generator," which creates water through electrolysis using power generated by wind and a "hydrogen tank," which stores hydrogen. Having said this, this has never been attempted before anywhere around the world, and although Denmark is trying to hack out a new path, there were a few obstacles along the way. The biggest obstacle was the misconception about the "safety of hydrogen." Many people ask, "Hydrogen is dangerous is it not?" but the household fuel cell, ENE-FARM, developed in Japan (in this case hydrogen is derived from natural gas, so it's not renewable hydrogen) has become gradually widespread, and with more and more people in Japan living using hydrogen at home, perhaps we can say that its safety is being more widely accepted. Even though such case examples are available, hydrogen is still believed to be dangerous and to have an explosive nature. Why is this the case? If lit, there is a risk that hydrogen will explode. But this is also true of gasoline in cars and natural gas, propane gas, and kerosene used in homes. A famous experiment involved lighting the fuel of both an US Department of Energy's (DOE) hydrogen vehicle and gasoline vehicle. The hydrogen burned, but rapidly diffused, while gasoline kept burning for a long period of time, finally blowing up the car. Although hydrogen does burn, because it is the lightest element, it rises upwards immediately, so it is very safe in this respect. Since we are not very familiar with hydrogen, information that may cause people to question its safety tends to become widespread, but if we use it correctly, it is not any more dangerous than gas or gasoline. One of the examples why we tend to believe that hydrogen is dangerous is the accident in 1937 where the hydrogen airship, Hindenburg, exploded and caught fire, but its has become common knowledge among experts that this was caused by the coating on the external skin catching fire rather than hydrogen gas. Such discussions took place for years, and by persuading all the citizens with perseverance, the citizens accepted hydrogen and began to take pride in it in the end. (left) Mr. Pedersen and a fuel cell. 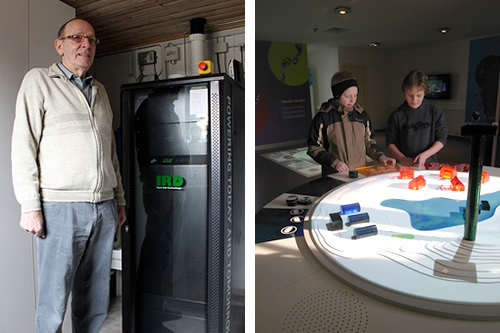 (right) Children teaching visitors at the Hydrogen Interaction. We went and visited Mr. Ebbe Pedersen's home. Although it is a renewable hydrogen home, from the outside it looks quite ordinary. The only thing different about it is the refrigerator-sized fuel cell placed at the back end of the house. On its facade you can see the words, "POWERING TODAY AND TOMORROW." He may be older, but Mr. Pedersen said proudly, "Although I may not have much longer to live, I thought I should start now for the next generation. Because I was provided with enough information, I knew that hydrogen wasn't dangerous and it feels great to use it." The "H2 interaction" found in the village is an educational facility where you can learn about water electrolysis, combination of surplus energy and fuel cells, and the seemingly complicated issues discussed above in a fun way, much like a game. "Most of the time, we get lots of wind here, so we can make a lot of energy, and if we have any energy left, we use it to make hydrogen. At times when we don't get any wind we use the hydrogen we stored to make electricity. It's quite neat no?" The children who will bear the next generation gesticulatively talked about the "renewable hydrogen community" as if they were talking about themselves. Back to Table of Contents Mayor of Lolland: Mr. Leo Christensen - "Getting the central government in action with bottom-up activities"
Mr. Leo Christensen, the mayor of Lolland. So why has it been possible to establish the world's first "renewable hydrogen community" in Denmark? What lies behind this success is the very strong public will represented by the declaration to become nuclear-free made in 1985, and the aggressive mindset of the government and citizens to adopt new alternative technologies. For example, there are currently 500 windmills and approximately half are owned by residents. What became an accelerant for such a movement is the government's renewable energy policy, which involves purchasing excess electricity. 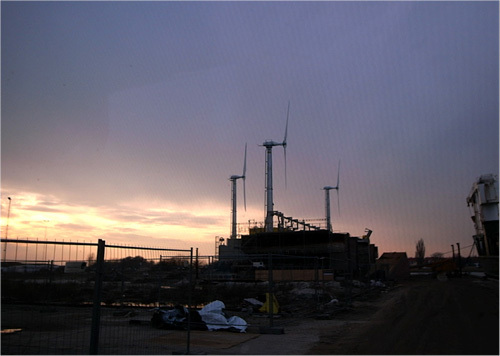 Residents who have received financial loans from the regional bank began to build windmills on the idle land they owned, which lead to further investment, eventually turning into the "renewable hydrogen zone." 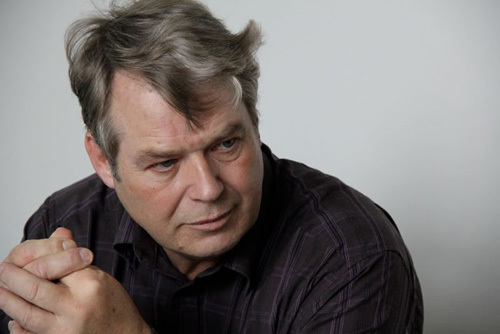 Mr. Leo Christensen, who has served as the mayor of Lolland since 2009, has pushed this project forward from the very beginning. "The local government supported the technological development of companies, and the best practices learned are passed up to the central government from the bottom up. As a result, better technology has been made widely available to society, and the government is able to implement policies that augment the sustainability and competitiveness of the nation. In today's world, remote regions seem more attractive and seem to have the power to survive. Even a large city like Copenhagen can't sit around and do nothing (laugh)" says Mr. Leo. The energy generated on the island of Lolland is being sent to Copenhagen as well. In comparison to vulnerable cities that have to depend on energy generated elsewhere, Lolland has excellent set of criteria right at home resulting in creation of new value. Mr. Christensen's strong message may prove to be a good reference for local governments in Japan as well. Back to Table of Contents Mr. Jan Johansson of the Baltic Sea Solutions - "Making energy more open source"
Mr. Jan Johansson of the Baltic Sea Solutions. 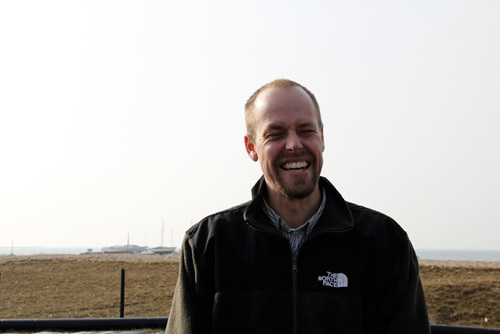 Next, we went and talked to Mr. Jan Johansson who works for Baltic Sea Solutions (BASS), an organization that steers the "renewable hydrogen zone." BASS is a non-profit consultancy company comprised of 10 or so experts, who help with engineering, fund procurement, and sociological analysis. "Selling excess power generated by wind power generation is a great business opportunity for Lolland. But in 2009, in order to stabilize the power supply, a law was enacted to charge against electric energy transmission during low demand times. But rather than letting the energy generated go to waste, we wanted to control demand, so we focused on hydrogen because of its ability to be stored temporarily. The hydrogen may be used within the community, and a business may be founded based on selling surplus energy." The next phase is to look for 2 possibilities. First is to create enough demand to convert 10,000 homes, a significant number, into renewal hydrogen homes, and to establish a framework whereby mass production of fuel cells may be realized. Second is to create a renewable hydrogen community model that is independent from the power supply especially in a rural region where infrastructure is inadequate. BASS is not only focusing on Denmark. They intend to conduct case studies best suited to the unique characteristics of the various locations and to make the know-how widely available. "Even if we are talking about the same hydrogen, it's nonsense to make it using fossil fuels. This doesn't solve anything. If asked if renewable hydrogen is feasible or not, we can't at this point in time say that it is, but what is important in the end is the will power to make it feasible. If our vision is attractive, more funds and technology will be made available, and we will be that much closer to making it a reality.That is what is happening in Lolland now." What we learned from Mr. Johansson is that it is not only about business. It is important to uphold a great ideal and to keep in mind "Why we are doing what we are." In Denmark, citizens are thinking about their own futures, and this seems quite commonplace. But what about Japan? Are we leaving the issues for others to resolve? With that thought in mind, I started to make my way back to Japan. When I was spoke to the coordinator about this she said, "No matter who is in charge of the government in Denmark, what remains the same is that the 'country has the obligation to ensure that citizens receive good, fresh water and air, food, and energy." So although costs and efficiencies are tasks that must be overcome, they never become prohibitive obstacles. I am a member of the board of the renewable hydrogen network. Mr. Ehara, who is the chairman of the same board says, "One of the things that became necessary to make the renewable hydrogen society a reality is a change in awareness of the people who manage fossil fuels in the political and financial sector" but this is exactly what is happening in Denmark. Another insight gained from the trip to Lolland is that know-how regarding energy is something to be shared, something that should become commons knowledge. There are worldwide frameworks such as the "Creative Commons" that openly shares an individual's work to give way to new creativity, and the "Science Commons," and an educational commons known as "ccLearn,"it is important to openly share ideas in the field of energy, a fundamental infrastructure necessary for mankind to live on, and to accelerate the shift away from a fossil fuel society. Although it may sound like a goal for the far off future, it is essential that we uphold a clear, strong vision and tell ourselves that "That day will never come if we just sit and wait. We all need to take action!" and to create a movement. There are many experts on renewable hydrogen not only in Lolland but also in Hawaii and Canada. And there are more and more journalists, creatives, scientists, and business people who are becoming interested. Realization of an "Energy Commons" that involves not only experts in hydrogen, but also various other renewable energies such as solar energy, wind power, and geothermal energy. The trip was extremely fruitful and I felt as though I was able to embark on a new, extremely exciting mission. Born in 1979 in Akita prefecture. Involved in the web direction, event planning, writing, etc. for various projects in order to help bring a sustainable world to life in a creative fashion by 2020. Recently he has focused especially on "energy x design thinking" and undertakes various activities to augment awareness for renewable energy and "renewable hydrogen" created with it.